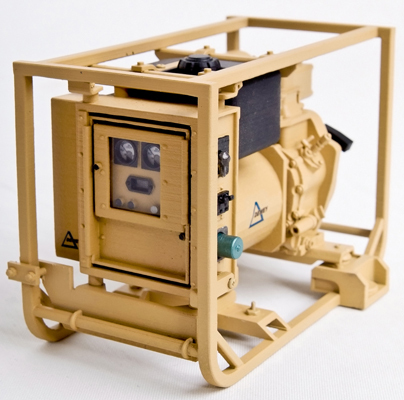 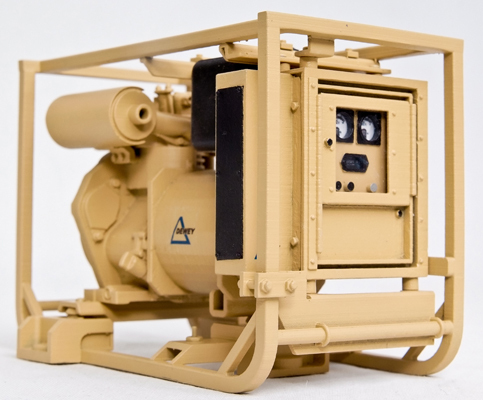 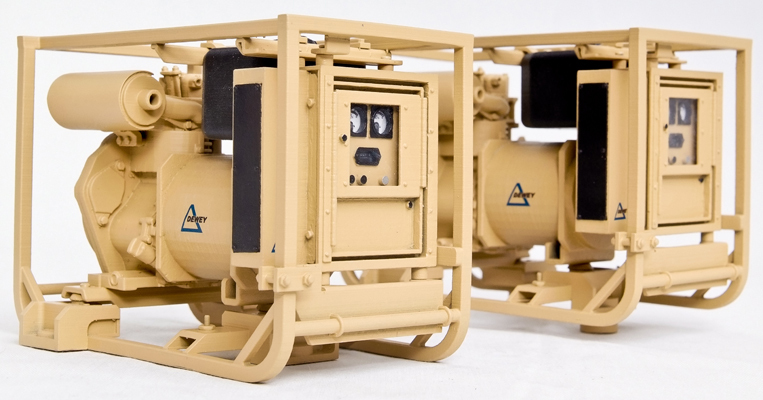 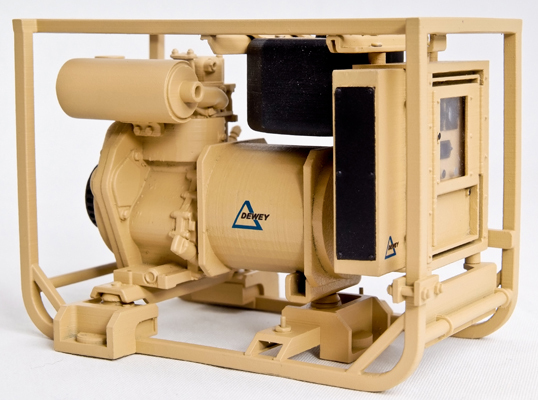 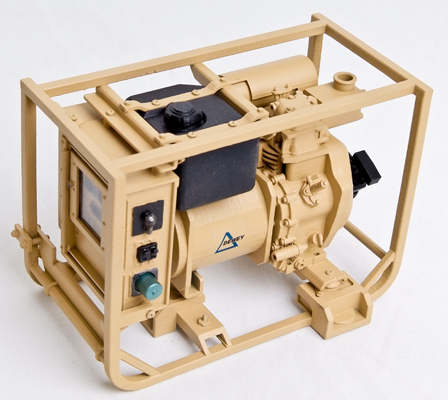 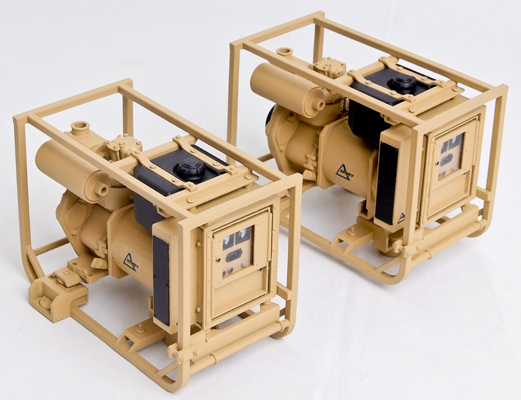 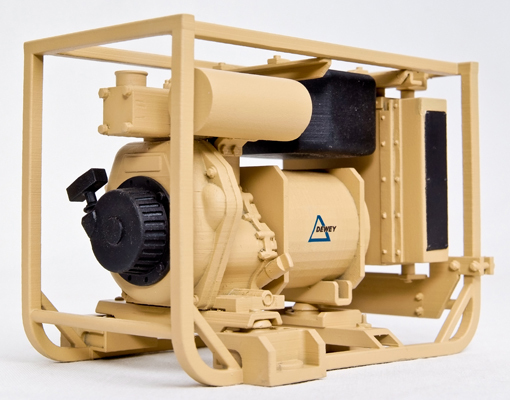 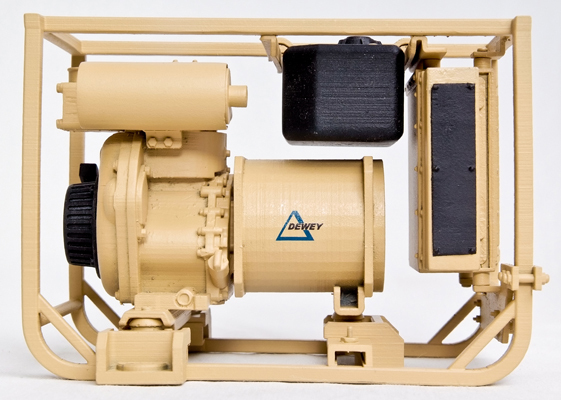 This is a 1:6 scale model of 2kW Military Tactical Generator. 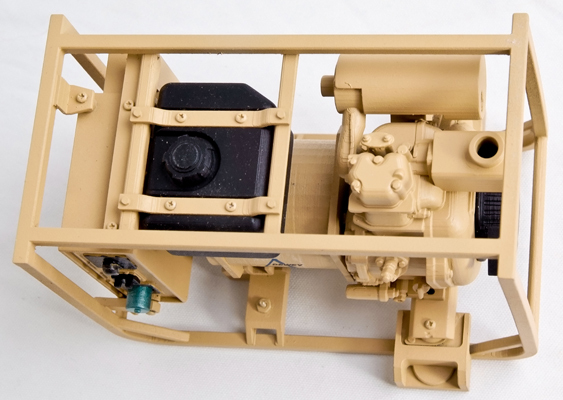 Fully rapid prototyped, manually assembled and finished. 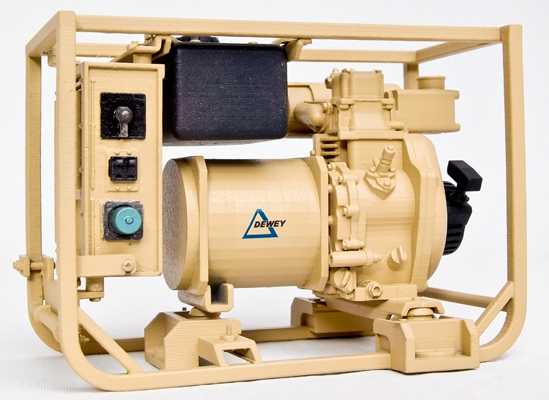 We produced a few copies of this model. 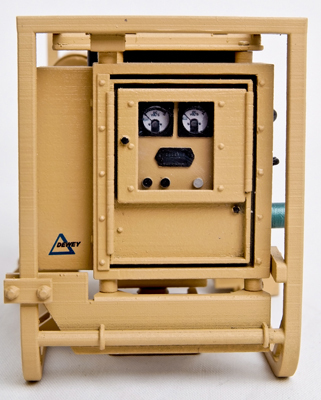 It can be used as a desktop replica or a portable presentation model.